Learn more about the research being done at the Fruit Experiment Station. Congratulations to Dr. Chin-Feng Hwang and his research team. Their research is featured in the 2018 Mind’s Eye publication (distributed soon). The story is available online. Most wine enthusiasts in America love drinking wine made from European grapes, but these grape varieties do not thrive when grown in vineyards of the Midwest. 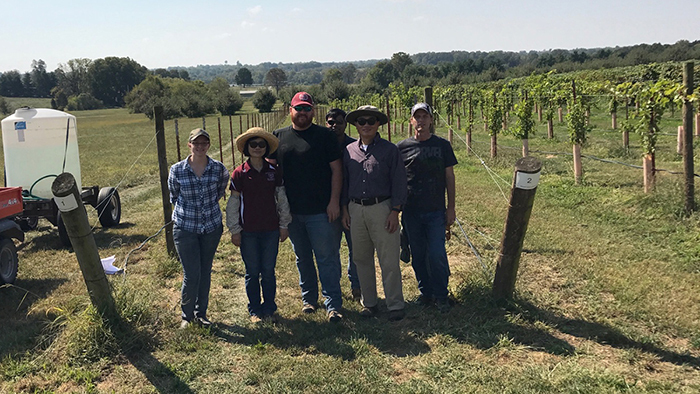 That is why agriculture professor Dr. Chin-Feng Hwang and his team of researchers at Missouri State University are exploring grape genetics. We are proud of the work being done in his lab and at the Fruit Experiment Station.